Click here if you would like to help with the Soup Suppers. The sermon series for Wednesdays during Lent will be “Lord, Teach Us to Pray.” Using Jesus’ teaching in the Lord’s Prayer as inspiration, we will explore different ways of connecting with God in prayer. On Ash Wednesday, worshipers will receive a wooden Prayer Toolbox (one per household, please). Each week there will be a new prayer tool to include in your toolbox. One of Incarnation’s six strategic goals as a congregation is centered on “Expanding and deepening the practice and understanding of prayer across Incarnation’s ministry and in individual and family lives.” As a planning team tasked with focusing on this strategic goal, one of the ideas that has surfaced is to provide “Prayer Toolboxes” for individuals and families as a way to engage in a variety of prayer practices. Each week during the Lenten Wednesday worship services we will focus on a different prayer practice based on a petition of the Lord’s Prayer that is coupled with an example from the book of Psalms. Every week you will receive a new “tool” to put in your toolbox along with suggestions on how to use the specific prayer practice personally, as a family, or as a small group. For example, on Ash Wednesday we will begin with the first petition, “Our Father in heaven, hallowed be your name.” The book of Scripture is one of the ways that God reveals Godself to us, therefore we will practice “Praying Through the Word” that week and explore who God is and what God is doing in the world. To help you remember this prayer practice we will be giving out small tiles with letters on them. We want to especially thank the woodworking group whom have been busy assembling all of the toolboxes and creating one of the tools that will be used during Lent. We also want to thank the persons who anonymously donated money and a Thrivent action kit to help purchase the toolboxes and tools that will be handed out during Lent. We invite you to come on this journey as we use the petitions in the Lord’s Prayer as our map and the Psalms as our guide to walk through these different prayer practices together. Last fall I took an online class called “Uncluttered” by Joshua Becker of “Becoming Minimalist”. The course framed a process for systematically dealing with the excess in our home and creating space, physical and emotional, to prioritize what we actually value. As participants moved through the course, we were challenged to try different experiments like clearing our kitchen counters every night for a week or limiting our clothing to 33 pieces (including outerwear and accessories) for three weeks. The point of these experiments was to push us out of our comfort zones, our normal pattern for doing things, and to pay attention to how that impacted our life, our mood, or our perspective. In doing the clothing experiment, I noticed that getting dressed every day takes less mental energy, laundry is faster and easier and I can get along just fine with fewer clothes options. Now that the experiment is over, I think differently about what I “need” and what I want, and I am more thoughtful about what I purchase and what I just admire from afar. We can use a similar process when we are hungering to connect with God but we find ourselves in a rut in our spiritual lives. The beauty of an experiment is that it is time bound. We can challenge ourselves to try something new and notice how that impacts our lives or our spirits, but we’re not forcing ourselves to commit to that action forever. We get to try it on to see how it fits and decide what is helpful and what we’ll let go. Find a prayer and commit to praying it each morning when you wake up. Lately, I’ve been using a morning prayer that my grandma kept in her Bible. Try the Jesus Prayer or the Lutheran Prayer of Good Courage. If you worship sporadically, commit to worshiping every Sunday for six weeks. If Sunday mornings are a challenge, remember Incarnation has a 6:00 p.m. service or commit to worship every Wednesday night during Lent. If you long for connection with your family, pick one night a week where family dinner is non-negotiable. Use that time to check in. What are people’s joys and challenges from the week? Once everyone has shared, use what was said to pray for one another. If you hunger for quiet, every day find a space where you can be uninterrupted. Set the timer on your phone for five minutes. Then close your eyes, acknowledge that God is with you, and until the timer goes off, focus on breathing in and breathing out, on simply being present in that moment. Try this for a week and see what happens. Sign up for the 40-Day Prayer Experiment at Incarnation for the season of Lent. Invite a friend to sign up with you as your prayer partner or sign up on your own and be matched up with someone. This experiment is designed to help you develop a more regular practice of prayer, explore different types of prayer and gain confidence in praying with another person. Whatever you try, remember this experiment is not about executing a practice perfectly, but about our desire to connect with the One who knows us and loves us and longs for meaningful connection with each of us. $485,721 to the Capital Campaign. That’s a total giving of $2,568,770 in 2018. Thank you for such wonderful generosity! Some details: 2018 operating expenses exceeded income by $71,000. However, that deficit is mitigated because giving during 2017 was higher than expenses, so the two years work out well together. Gary suggested that recent changes in tax laws will lead to variable income from year to year. Of the amount given to the operating fund, $180,891 was given away to mission partners. $185,787 in additional giving (noted as “special causes” above) was also given to mission partners. That means that Incarnation gave $366,678 to mission partners in 2018, 14% of Incarnation’s total giving in 2018. Incarnation’s Capital Campaign fund began the year at $251,786 and received gifts of $485,721, totaling $737,507. Of that, $342,480 was used for mortgage payments, $50,000 for paying down principal, $50,000 for deferred maintenance, and $6,617 for other expenses, leaving a balance of $288,410. 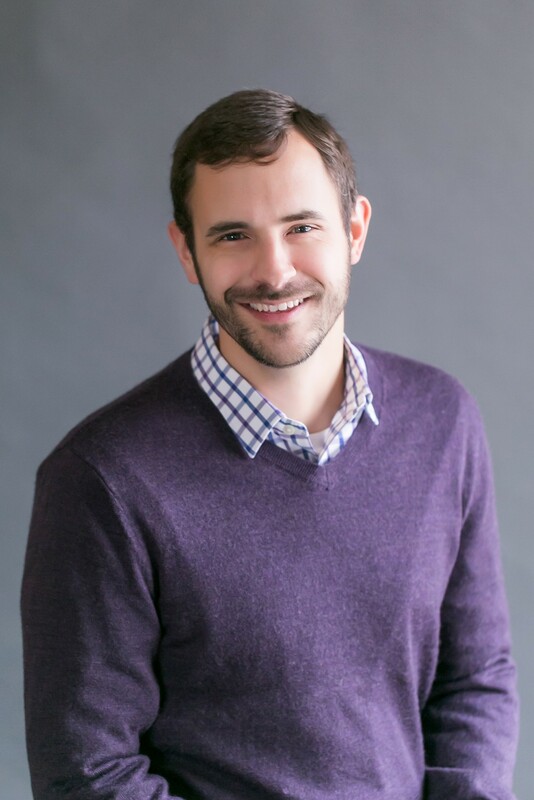 Incarnation plans for a 2019 operating income of $1,940,000, with 2019 operating expenses matching that number, for a “zero” budget. The planned income is 2% higher than the 2018 operating income. The main change to note is that money budgeted for mission partners has been reduced by about $62,000 from the 2018 actual amount given to mission partners. The key reason is increased costs for human resources. Staff salaries will remain at 2018 levels (no increases) but benefit costs have increased significantly. The Human Resources Committee and Finance Committee will be examining these costs during the year and propose adjustments that will be reflected in the 2020 budget. The Incarnation Capital Campaign fund anticipates $413,465 in gifts in 2019. 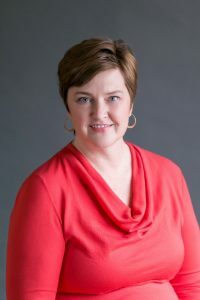 With the existing balance of $288,410, that provides $701,875, of which $50,000 will be used for deferred maintenance, $100,000 for paying down the principal balance, $342,480 for mortgage payments, and $2,000 for other expenses. Those payments will leave a balance of $207,395. Reporting this financial information to you is exciting because you, the people of Incarnation, are so generous. It’s inspiring to see how all of you together are supporting Incarnation’s mission. Thank you for your commitment to make 2019 another great year! The 12th annual All Hands On Hope Feed My Starving Children MobilePack™ will take place April 29 – May 2. Over 3,300 volunteers from the congregation and community are needed to pack 750,000 meals, which will feed 2,054 kids for a year! 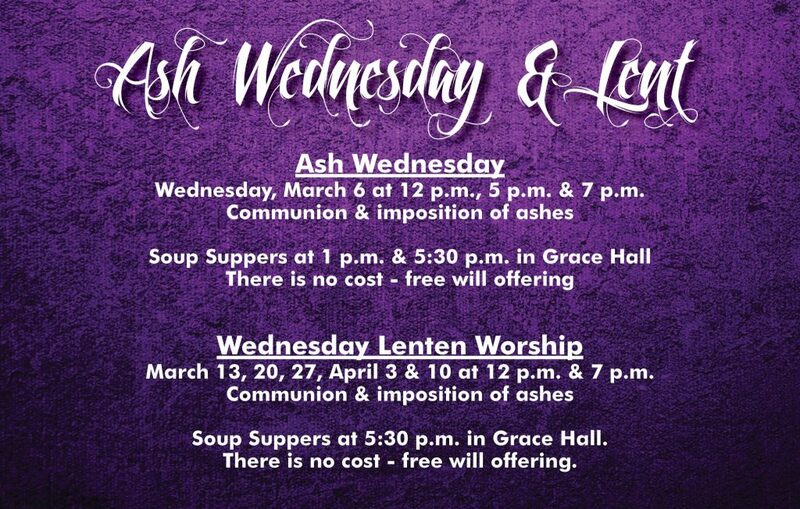 Make plans now for who you’d like to invite to pack with you and then on or after Ash Wednesday (March 6), you can visit the volunteer registration site to sign up. You raised well over $143,000 and packed 762,048 lbs. of Feed My Starving Children meals – enough to feed 2,088 kids for a year. You donated a carload of household items for Solid Ground’s Spring Shower last May and early June. 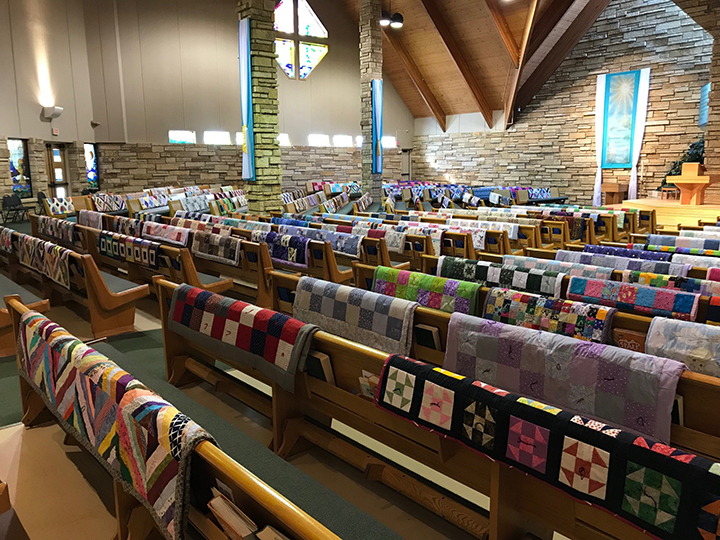 You created and donated 200 quilts to Global Health Ministries, Gillette Children’s Hospital, the owner of the Habitat House the Holy Hammers built, Incarnation Preschool Silent Auction, Lutheran Social Service/LifeHaven as well as others, making sleep warmer and cozier for the recipients. You donated $45,972 and 14,252 lbs. of food and household items to the Ralph Reeder Food Shelf, of which $17,041 and 10,825 lbs. 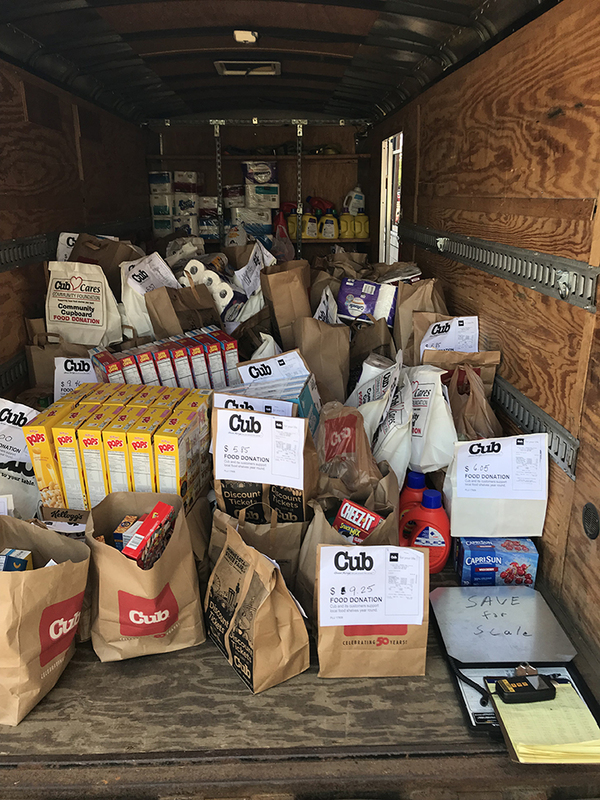 food and household items came in during the July Tons of Love food drive alone – a record for Tons of Love. You donated to the Hurricane Florence and California Fire Disaster Relief and the ELCA World Hunger/Good Gifts to the tune of $13,501. You donated supplies for and created well over 100 Blessing Bags as a part of the Great Incarnation Fall Get Together and gave every last bag to someone you encountered who needed it. You donated over 750 winter wear items, equipping Solid Ground residents for the harsh season ahead. 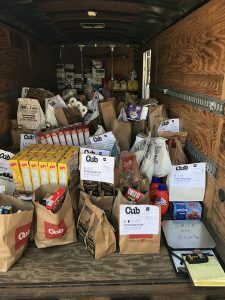 In addition to donations, you sorted the donations each week, transported them to Solid Ground, set up the distribution in the Community Room and assisted with residents’ selections. You donated $15,000 in individual contributions to support secondary education of students within the Mkwawa and Kigamboni Lutheran Churches and educational initiatives within the Iringa Diocese, giving hope and promise for the future of young people and their families. 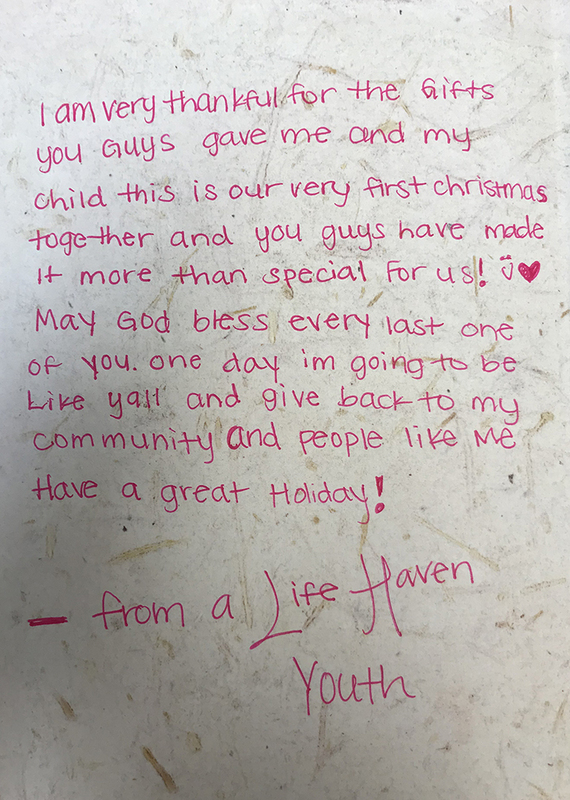 You purchased nearly every item requested by the residents of LifeHaven for their children, themselves and the shared community as a part of November and December’s holiday Giving House. Your gifts helped the young moms to know in tangible ways that a community nine miles north care deeply about them, a new experience for some of these women. You donated 898 household items, such as mops and cleaning items, to fill 29 Welcome Baskets for Solid Ground, making move-in for new families in 2019 a bit less stressful. SPARK kids, you generously donated $1,437 to buy a share of an ELCA Good Gifts well and to support Incarnation’s FMSC MobilePack™ Event. You also donated important supplies for The Gathering and 100 lbs. of Ralph Reeder birthday bag items. 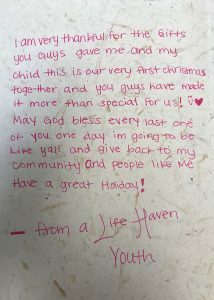 This says nothing of the generosity adult small groups, IGNITE small groups, HSM Youth Group, and individuals demonstrated as they reached out gifting various communities with life-giving donations, acts of service and companionship. 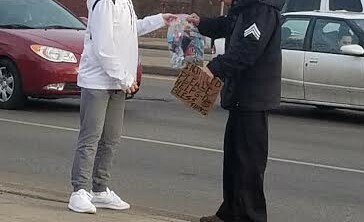 Take this in and believe in the goodness of your generosity which has made such a difference in the lives of those outside the Incarnation community! Many people at Incarnation are of Scandinavian background and several have had the opportunity to visit “the old country”. Many grew up hearing about the amazing and wonderful people and places from which their families sprung. A fun and informative book in the Apostle Library would make good reading for you if you are one of these people or you’re otherwise interested in Scandinavian countries. 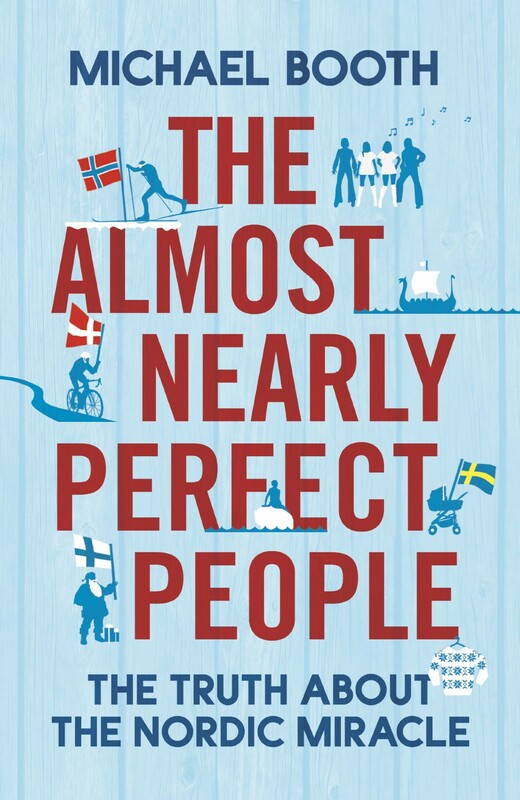 The Almost Nearly Perfect People: Behind the Myth of Scandinavian Utopia by Michael Booth is a witty, informative cultural history and a travelogue about the Scandinavian countries – and how they may not be as happy or as perfect as assumed. Here are intriguing and revealing topics galore: Ever wondered why the Danes are so happy, despite having the highest taxes? Do Finns really have the best education system? How are the Norwegians spending their oil wealth? And why are they so set against the Swedes?! 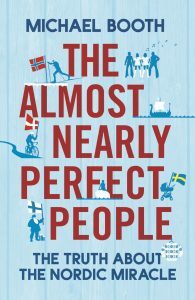 The book says “They may very well be almost nearly perfect, but it isn’t easy being Scandinavian”. Enjoy! Hospitalized: Karen Dunlap; Carol Swanson, Kyle Durbin. Sympathy to: Chris Bretoi and family on the death of his brother; Sharon Wilson and family on the death of her brother-in-law; Gene Lindholm and family on the death of his brother; Ann Oswood and family on the death of her mother; Betty Hildestad and family on the death of her daughter; Dianne Wilkie and family on the death of her mother; Veronica Johnstone and family on the death of her brother. Recently Baptized: Eleanor Grace, daughter of Elise and Charles O’Donnell; Axel Dainen, son of Tabitha and Frank Markie. Congratulations to: Matt & Katherine Bergman on the birth of Clara Christine; Dani & Chad Friesen on the birth of Jaxson Santos; Ayla & Scott Jurchisin on the birth of Jacob Eli; Laura & Waylon Hennen on the birth of Elisabeth Ann. This worship service is a time to pray, hear messages of comfort and hope, light a prayer candle and receive a blessing. For those who wish, there will be an opportunity to be anointed with oil and prayed for individually. The Healing Service is open to the entire community. Invite your friends, family, neighbors and others you know who long for healing. More information is available at the Information Center and in the Gathering Space. Registrations are not needed and there is no cost. NEW! Discover Incarnation is on a Sunday! Sunday, March 31 from 1:00 – 4:30 p.m. 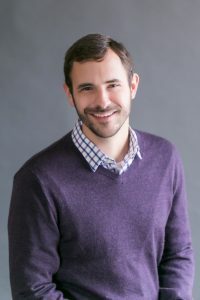 Discover Incarnation is offered for anyone who wants to learn more about Incarnation’s mission, vision, and values, and is required for those who wish to step into membership. A special interactive opportunity is also available for children three years and older and childcare is available for children under three, with an advanced registration. Registration is due March 27 by 4:30 p.m. Click here to learn more. 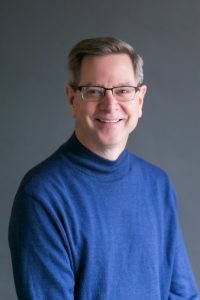 Read and talk about Richard Rohr’s book, The Naked Now, while connecting with others in a small group setting. This book explores how to be present to each moment and to God, by drawing on the Christian contemplative traditions, the Gospels and Paul. Leader: Anne Cremons. Suggested contribution: $10. Register: dfloe@incarnationmn.org. 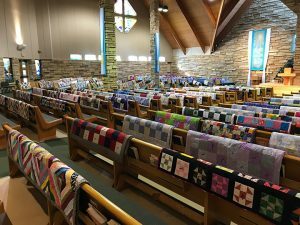 Lyngblomsten, a ministry partner with Incarnation, offers resources and support for caregivers, including those caring for loved ones with memory loss, dementia, Alzheimer’s disease and Parkinson’s disease. For more information click here or call 651-632-5331. Thrivent Financial members are eligible to lead a Thrivent Action Team and apply for seed money of $250 to make your dream of giving others life, come alive. Thrivent Action Teams encourage a sense of generosity and service utilizing a small group of people who come together for the benefit others. Click here to learn more about how you can fuel an Incarnation ministry you’re passionate about with an action team.